The albums on this page are not authentically part of the general hit covers genre, since they do not contain current material, but older recordings (except perhaps the very last one). Nonetheless, we feature them here for their obvious interest to collectors. There is some evidence that these LPs were released, when current, in West Germany; if so, these are re-issues of the West German albums. The Polymax and Turnover labels were London-based imprints who issued perhaps two dozen UK albums in the early 1970s. From the information we have available, most of what they released was in 1971, although at first glance their pop covers albums look earlier. In fact they are 1971 issues, but contain older hits. Only the year stated on the record labels gives the game away. We have traced three instalments of a series called “Super Hits”, which were billed as by the Pop Express Band. They include retrospective sweeps of the charts in autumn 1969, early summer 1970 and late summer 1970. Elton John is known to perform on at least two of them, and it is fair to assume that Polymax purchased the recordings from the usual Avenue/Marble Arch sources. Indeed, practically all the tracks on the Polymax releases turn up on the Avenue albums - and Polymax PXLB 300 has identical contents to Avenue's "12 Top Hits", AVE 031. 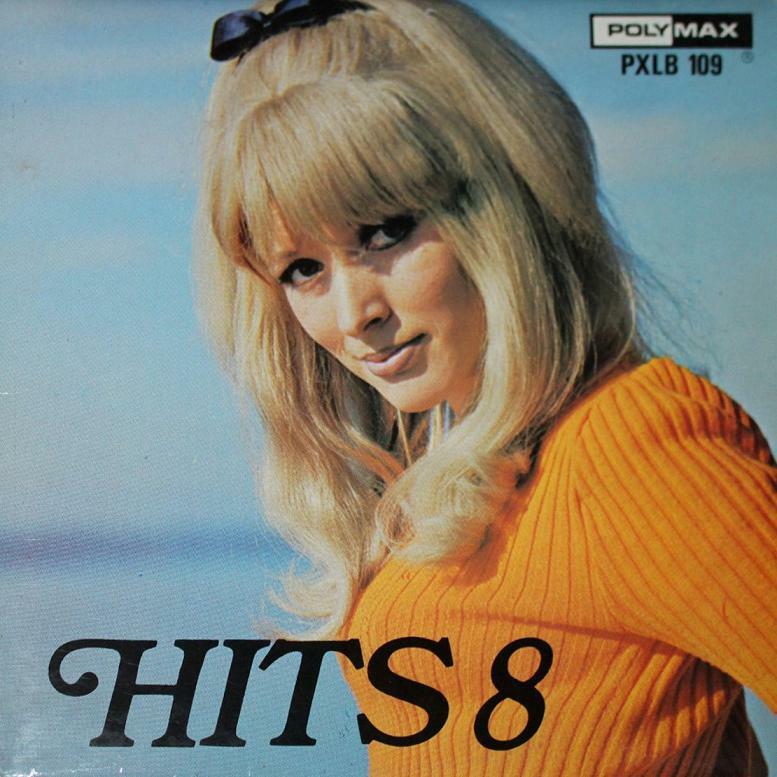 Besides these, there are two albums called “Hits 8” and “Hits 9” which have the appearance of a separate series, although there are no vacant catalogue numbers in the run for any earlier instalments. There is no act billed on these, but Elton pops up again. It is interesting that the vintage of the songs falls between the first two “Super Hits” albums – so why didn’t Polymax simply call them all “Super Hits” and number them in order? Lastly, on the sister label, Turnover, there is another album called “Super Hits”, where the Pop Express Band are once again credited. This LP, unlike the others, emerged in 1972 and might be the last one released on the label. Released 1971, but contains tracks from late 1969. All of these titles can be heard on the Avenue LP, AVE 031. They are sequenced the same, but with the sides switched. Released 1971, but contains tracks from mid-1970. Features Elton John. All bar two of these titles can be heard on the Avenue LP, AVE 044. All bar one of these titles can be heard on the Avenue LP, AVE 055. Comments: Released 1971, but contains tracks from late 1969/early 1970. Features Elton John. Side 2 has seven tracks rather than the usual six. Comments: Released 1971, but contains tracks from late 1969/early 1970. Unclear if “Raindrops Keep Falling On My Head” is the same recording as on PXLB 302. Features Elton John. Comments: Issued on the Turnover label. Released 1972 although all tracks were hits in the second half of 1971. Recordings come from the Flag series "World Top 12" and the associated EPs (except two, whose origins are not yet confirmed).